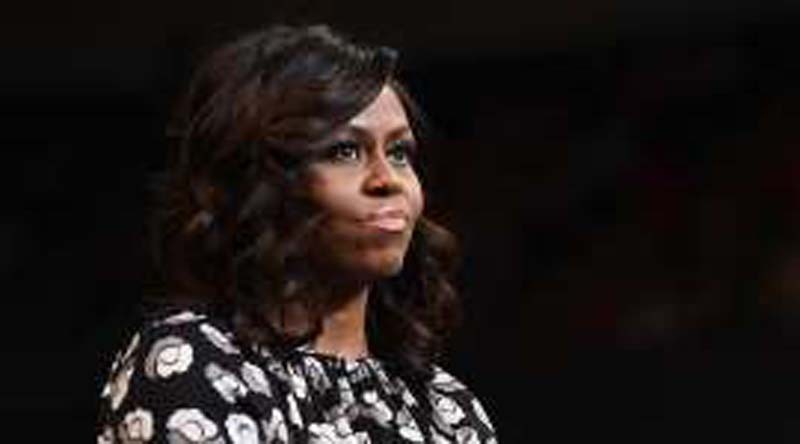 Michelle Obama on Saturday discussed the 2016 presidential election at the United State of Women summit, during which she said she is still reflecting on the outcome and asking how "we let that happen." "In light of this last election, I'm concerned about us as women and how we think," she said at the event. "What is going on in our heads where we let that happen, you know?" The former first lady was discussing encouraging young women to dream big, and how to reflect on standards for women after Democratic candidate Hillary Clinton lost the election and the United States didn't elect its first woman president. "When the most qualified person running was a woman, and look what we did instead, I mean that says something about where we are," Obama said. "That's what we have to explore, because if we as women are still suspicious of one another, if we still have this crazy, crazy bar for each other that we don't have for men... if we're not comfortable with the notion that a woman could be our president compared to... what, then we have to have those conversations with ourselves as women." She went on to add that she wished "girls could fail as bad as men do and still be ok."
"Watching men fail up is frustrating. It is frustrating watching men blow it, and win," she later added while discussing standards for women. The United State of Women describes itself on its website as a "national organization for any woman who sees that we need a different America for all women to survive and thrive." Thousands of women attended the summit, based in Los Angeles, this weekend which says its goal is to leave women "with new ideas and partners, hands-on training, and the tools and resources they need to make change at all levels."